When I began this project in 2003, my intention was to create written, filmed and theatrical works that would stand alone as pieces of art, while at the same time exploring the human side of medicine. The object was to make it easier for people to start conversations about important issues affecting patients, doctors and the doctor-patient relationship. Although we currently concentrate more on theater and film, my journey began with a novel which featured some characters with multiple sclerosis (MS) in a medical thriller. At the time, I had many multiple sclerosis patients in my practice, so I concentrated on them. I began by taking 20 of my favorite MS patients to lunch and announcing my intentions. I explained that in order to create accurate characters for this medical thriller, I would have to know the real story of their life with the illness. We discussed ways to do this and ultimately it was decided that we would make a documentary on MS in addition to the novel. In that way we could create some excitement about the project. I started a website called YourMovieProject.com and asked these 20 patients to contact other patients and ask those people to send me letters about what their life was like with MS. Word spread quickly. Within a few months I received over 400 letters from 6 countries and all 50 states. I used the insight gained from these letters to create some of the characters in my medical thriller Point Source. I also made the documentary, Taking Back the Future, which featured my patients and letters from the website read by Joe Pesci, Frankie Valli, Tom Dreesen, Frankie Avalon, Dennis Farina, Helen Gurley Brown, Ed Marino and my mother. The play premiered at the Hot Springs Documentary Film Festival and both it and the novel received notice from the press, MS, in film and fiction and Point Source Rivets the Reader, including a write up in the British medical Journal, the Lancet, From narratives of illness to “edutainment”. I gave away many copies of the novel to my patients, who used it to start conversations with loved ones about their disease. 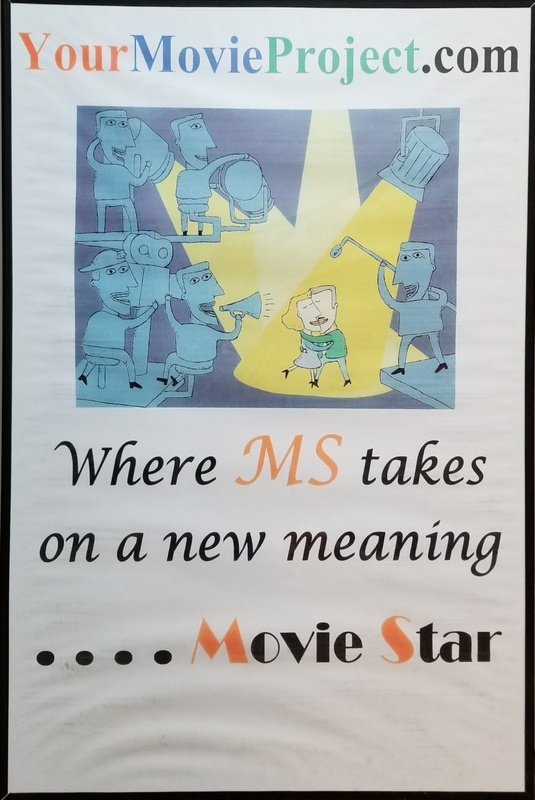 We took the film on the road in the south and northeast in a show for MS patients, complete with a band and a comedian, in addition to showing it to medical audiences for discussion and teaching purposes, Art on a Mission for MS. It wasn’t until a couple of years later that I started writing plays. I met Roger Simon, my director, in the Players Club in NY and started writing plays with the Simon Studios. My first play was I Love You Not, a psychological thriller. In 2010, the NY cast traveled to Hot Springs, Arkansas for four sold out performances in front of a paying audience. The starring role was played by Dan Grimaldi, from the Sopranos. The play was also produced as a showcase numerous times in NY, at the Players Club. My second play, Marginalia, has been produced at the Wildwood Theater in Little Rock, Arkansas (funded by the Baptist Health Foundation), at Johns Hopkins Medical School (funded in part, by Johns Hopkins) and at the Players Club in NYC. We discuss the play with the audience after each performance (my favorite part of the evening) and this engagement is a key part of the mission of The Art of Medicine Project. Many discussions have resulted in modifications of the script. I look forward to more performances, both in theaters and in front of medical audiences. Of course, I could not have done any of this if it weren't for the support of my loving wife of 36 years, Rita Marie, and I can't thank her enough for that.